In a few hours the European Parliament will vote on the regulation concerning the European single market for electronic communications. This vote in plenary will be the most important vote on the rights and freedoms of citizens since the rejection of ACTA in July 2012. With the right amendments adopted, this text will put in place solid measures that protect Net Neutrality throughout the European Union. 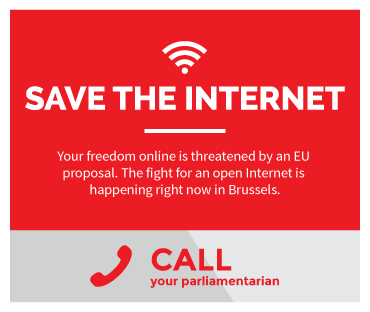 For more information, read the article Only a Few Hours Left to Save the Internet! on LQDN's web site. There are a few hours left to act.